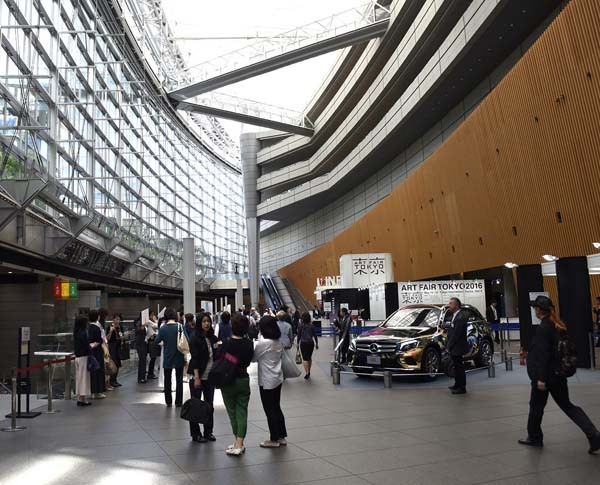 In Tokyo,there is blue sky and clean air in May, the annual art festival ushered in- Art Fair Tokyo (11th -14th ).The conference hall-Tokyo International Forum is adjacent to Ginza,in the heart of Tokyo.During the four days of exhibition,there is a hustling crowd and a high popularity of exhibition,we can see Japanese people are keen on contemporary art. 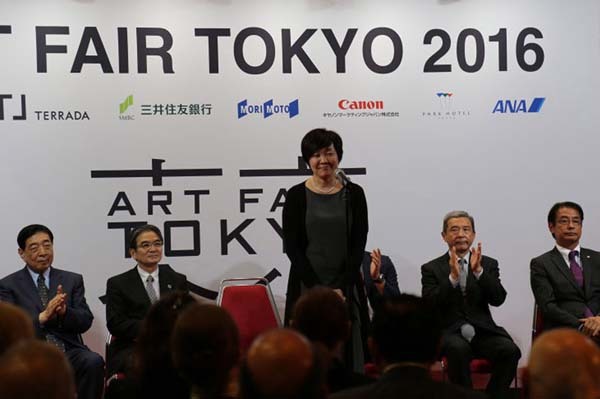 On the opening ceremony scene of Art Fair Tokyo,Japanese Prime Minister’s wife Akie Abe made a speech. The bustling audience on the scene of the exhibition. 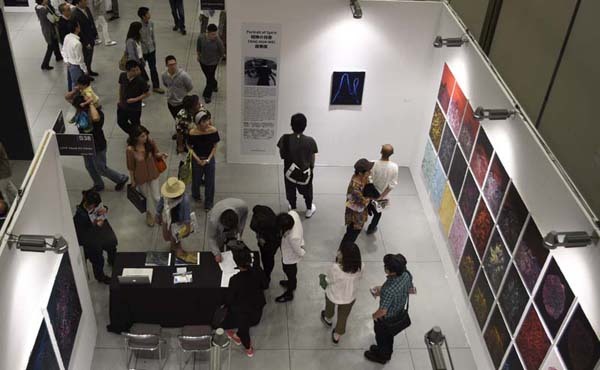 “Portrait of Spirit-Tang Huawei Solo Exhibition”attracted a great deal of Japanese people. 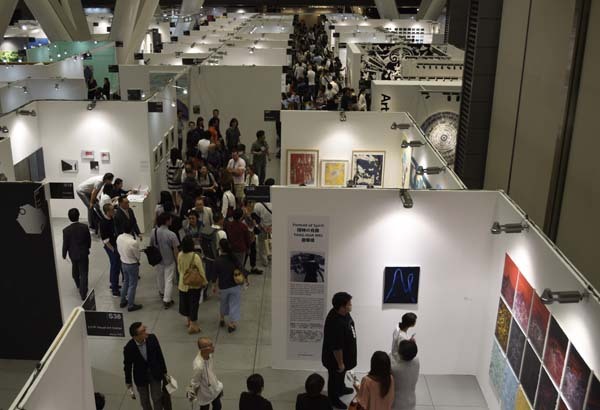 There are 197 exhibition art institutions in this exposition, including Japanese galleries in the majority.Overall,from exhibition space, many Japanese galleries are smaller than other countries’, but they take full advantages of space and arrange specially and carefully. The majority are small works, mostly delicate and exquisite,which reflect Japanese characteristics such as fine, rigorous and restrained.That is influenced by Japanese culture character on the one hand, and also be affected by exiguous space on the other hand. 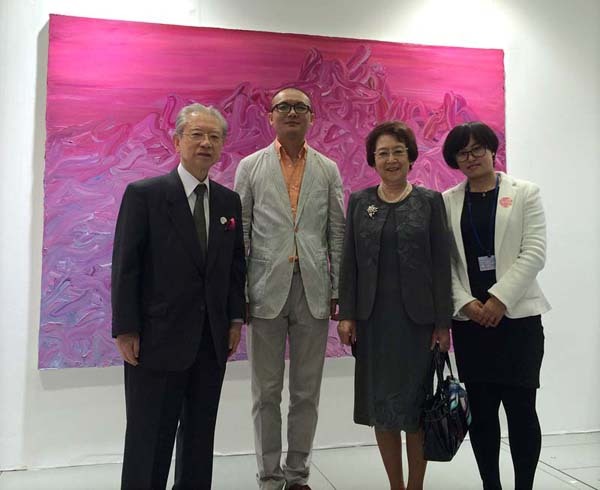 “Art Fair Tokyo”honorary advisor Masaki Seo took photographs in front of Tang Huawei’s artworks. 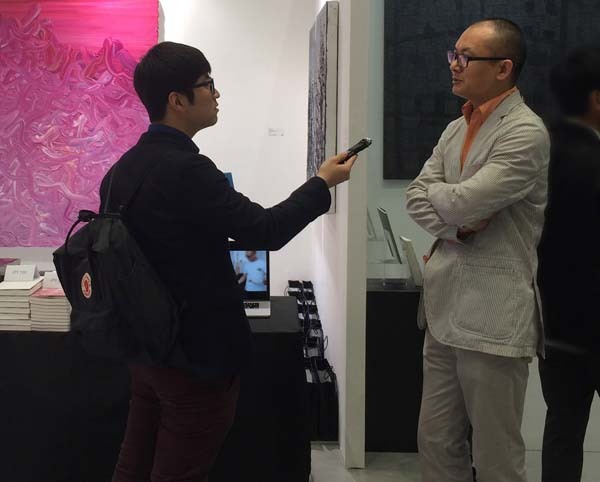 Italian architecture and collector Mr.Alberto Licandro pay close attention to Tang Huawei’s artworks. 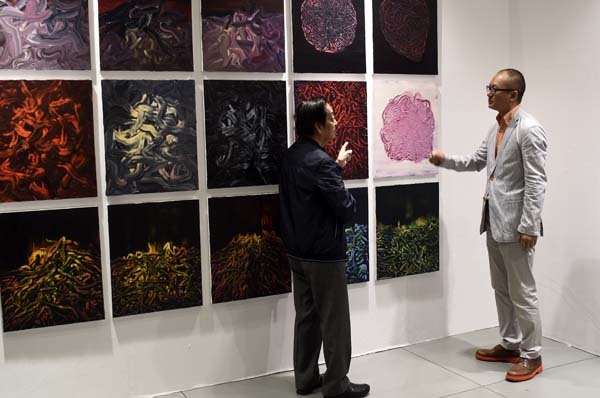 Mr.Han Meilin,the artist who made a special trip from Beijing to Tokyo for this exhibition, is probing into the issues on contemporary art techniques with Tang Huawei. 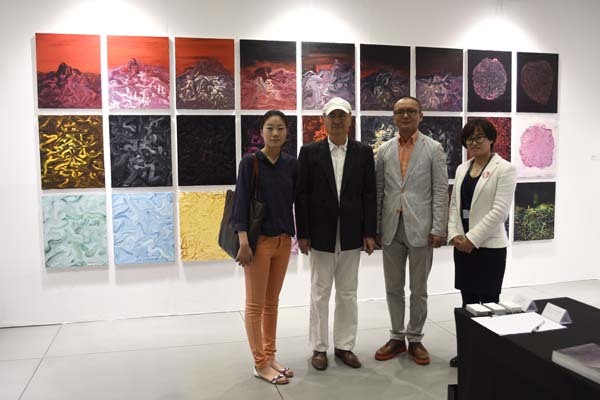 Only three art institutions from mainland of China participated in this exposition, which we can see Chinese artists are precious in Art Fair Tokyo. 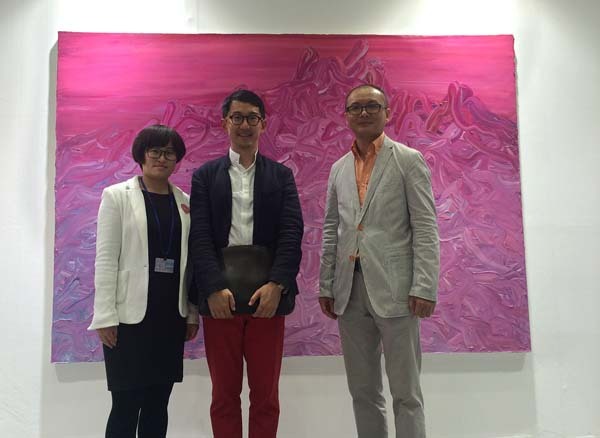 The artworks of contemporary artist Tang Huawei from Beijing are exhibited in Booth S38, in the form of solo exhibition in Art Fair Tokyo.The theme of the exhibition is Portrait of Spirit, which is one stand of his world tour plan series - in the past two years his artworks have been exhibited in Milan, Cologne, Taipei, Singapore, Hong Kong and Beijing.This solo exhibition in Tokyo,which is affected by the small display space, but exhibited one of his masterpieces considerably and an independent wall filled with 27 small works after careful layout.Tang Huawei’s artworks attracted a lot of Japanese audience's attention and praise of the professionals because of the grand overall presentation,warm and full color,extremely rich visual impact and presenting a great image.Also,both written Chinese permeance and rigorous structure of western oil painting language are included in his artworks. His artworks brought such an art scenery for Art Fair Tokyo, which belongs to the east but has different cultural temperaments. 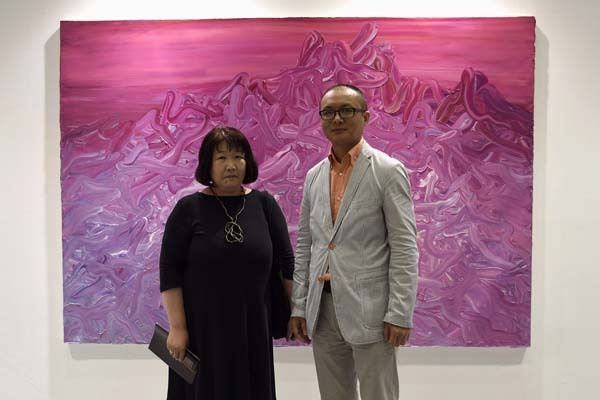 General Director of Art Beijing Kaneshima Takahiro came around the scene of the solo exhibition. The media is making an on-site interview to the artist. Japanese writer and curator Ms.Junko Araki took photographs in front of the artworks.